The Aquatic Warehouse, located in San Diego, CA made the jump from high output T5s and halides to LED lighting 6 months ago. They are running a variety of Ecoxotic Cannon 100W Elliptical Pendants. 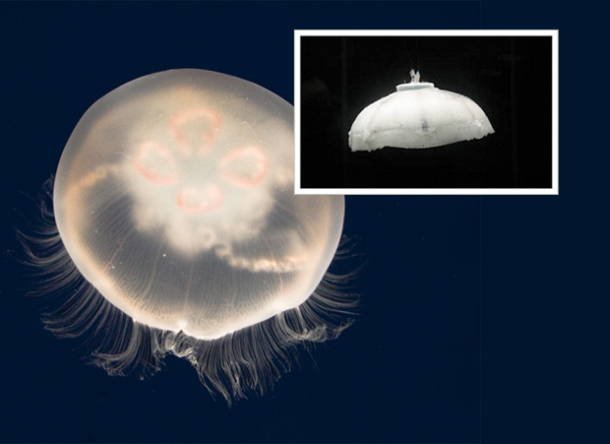 The coral systems are equipped with several pairs of pendants, one 12K white and one 255nm Royal Blue. The descriptions states the 12k pendants are set at 40% intensity making way for the Royal Blues to show case the corals. 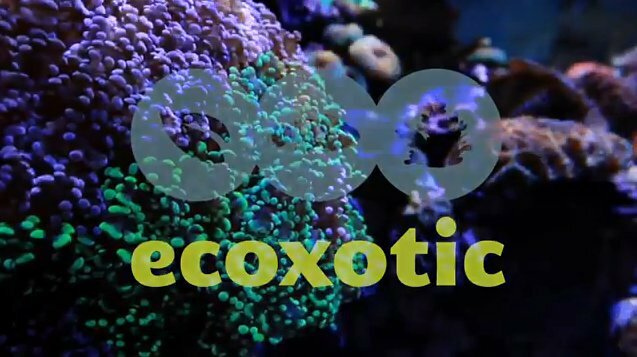 The video is of exceptional quality showing coral colonies and frags, which creates an great sales pitch without words. In a short post in the Explores Journal, Enric Sala of Nation Geographic tells of a pristine reef found during a four day dive expedition in the Ducie Atoll. Enric briefly describes the reef stating it contains up to 90% live coral cover and a very large biomass of fish. He also noted a healthy abundance of predator fish like sharks, groupers and jacks. It’s nice to finally read something with a positive twist. 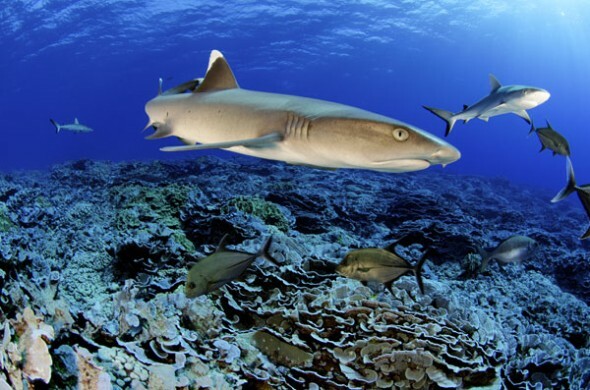 Enric’s post expressed the dire need to protect these reefs as they are found. The post can be found on the National Geographic Newswatch site. Scientists are reporting that 70% of the 6,000 hectares of coral reefs off the coast of Bontang are critically damaged. 70% equates to 4,200 hectares of damaged reef. The reports are placing the blame on the growing local industries inland of the reefs, domestic and commercial waste dumping. Those factors coupled with the practice of using explosives by the fisherman and the locals who have been removing chunks of coral reefs to use as construction materials for their homes. Time will tell how this will effect coral exports for the aquarium industry. You may read the full story for more details found on the Jakarta Globe. 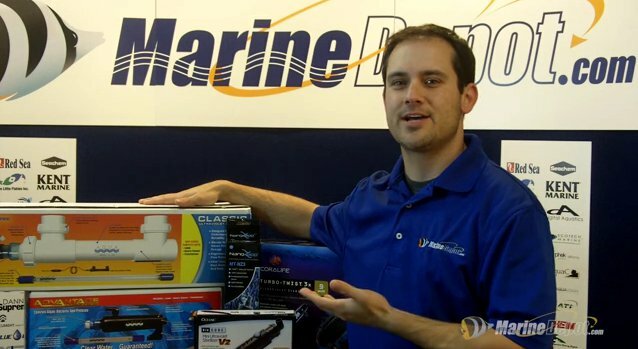 Marine Depot posted a tutorial video on YouTube showing how to install a JBJ NanoZapp. 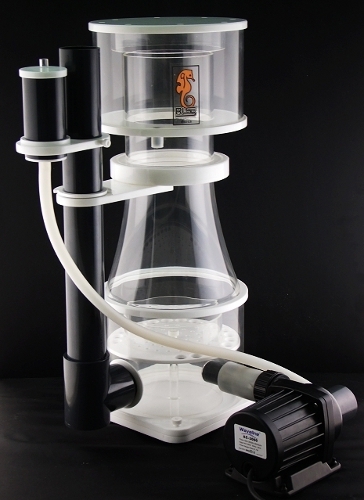 UV Sterilizers are a popular way to keep the water column sterile in a fish only system. UV Sterilizers are not recommended by most reef hobbyist to use in a coral system. A petition is being circulated online to request President Obama to help protect the shoreline coral reefs around the Marshall Islands. From what Reef Tools has been able to gather, expansion of the Majuro Airport is close to breaking ground. The construction of the airport expansion is funded by the U.S. Government and the work is being performed by local contractors. It is stated that the FAA turns its head as the contractors wreak havoc on the native coral reefs by miming the coral for use as fill. The petition states there is an abundance of useable fill that could be used away from the coral reefs. 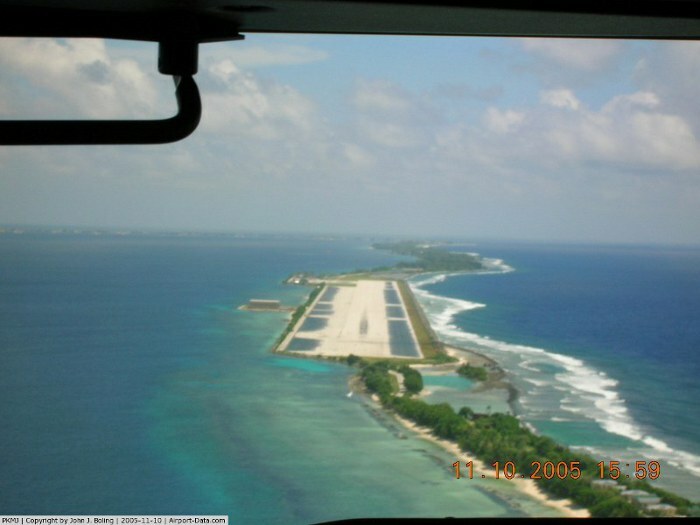 The petition also points out that in 2008 a fire station was constructed on the Marshall Islands using fill from a large reef in the area of the construction site. President Clinton signed an executive order (Order 13089) protecting coral reefs outside of the U.S. The petition is asking President Obama to push the local EPA and FAA to adhere to the order. 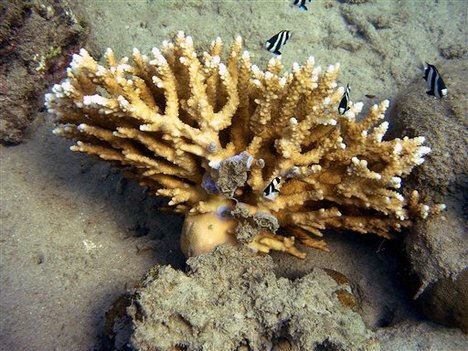 The petition is sponsored by Dean Jacobson, Ph.D., coral ecologist and can be found here. 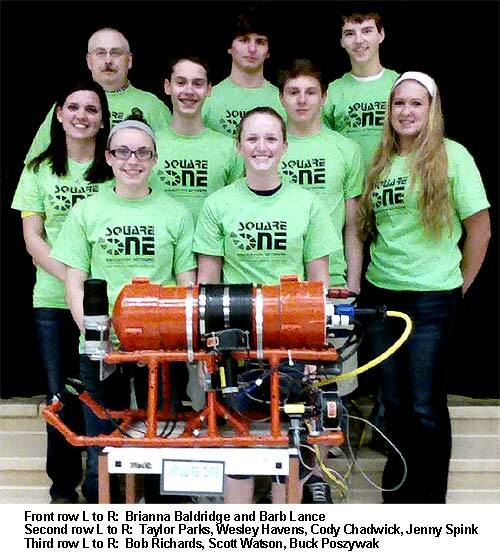 Students from Stockbridge High school have designed an underwater robot that will be put to the ultimate test on its maiden voyage. The robot is a high school project with a mission to locate a B-24 bomber that was believed to be shot down around the Micronesian island chain of Palau in World War II, almost 68 years ago. The students are assisting the BentProp Project in the search for the missing bomber. The BentProp Project is an all volunteer organization that locates downed aircrafts in the attempt to find the remains of servicemen still listed as missing in action. Is there a more noble purpose for the maiden voyage of their school made robot? The robot is designed to withstand depths of up to 500 feet, although the plane is believed to be in waters closer to 125 feet. It consist of a GPS system, three video camera, commercial grade thrusters and a sonar donated by SeaView Systems Inc. The trip to Palau is quite an endeavor for the high school students. Through fund raisers sponsored by the Stockbridge’s Lions Club and the local American Legion as well as corporate sponsors the students raised $40,000 to make the journey. It is important to mention Jackson’s Dawn Foods, the John George Fund, the Hurst Foundation and the Weatherwax Foundation were among the donars that helped make this trip a reality for the students ranging in ages of 15 to 18. You can follow the project on the student made facebook page as well as the BentProp website. Make sure to click the Like button on their facebook page. Lets show support for a small group of American students that are working hard on their future coupled with the hopes of bringing closure to families of the crew of the B-24 Bomber. The Robojelly’s bell is made of silicone that contains ribs of springy steel. And the steel, in turn, is attached to a structure made of platinum-coated nanotubes and the shape-memory alloy, made of nickel-titanium. A valve opens, allowing seawater–and the oxygen and hydrogen gases it contains — to come into contact with the nanotube-alloy structure. The platinum reacts, generating heat that activates the shape-memory alloy and causes it to deform, pull on the steel, and close the bell. When the nanotube-alloy structure cools, the alloy returns to its shape, releasing its pull on the steel and allowing the bell to reopen–and the process to repeat. 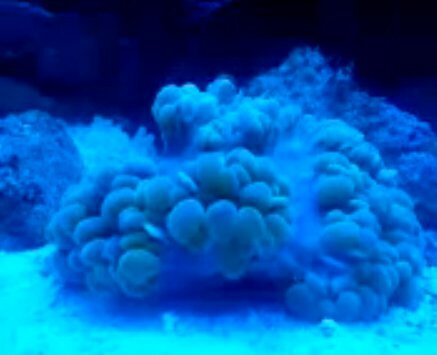 A member of the Brevard Area Reef Society (BARS) caught his bubble coral spawning and was able to catch it on his Android phone. He did a great job capturing the event. Salifert has stated on a few forums that a new, easy to use Potassium test kit will be hitting shelves by the end of March. 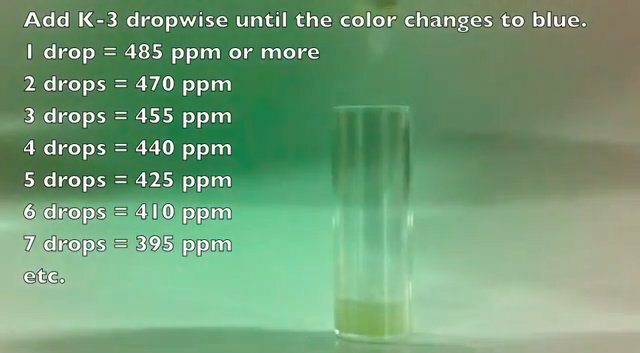 The new test will have an resolution of 15 ppm. Salifert is boasting the test sharp contrast in colors making it easy to read. Further more the test is said to take 90 seconds. Salifert is also working on a Potassium test with a lower resolution (higher sensitivity) of 4 to 5 ppm. This test is expected out “at a later date”.